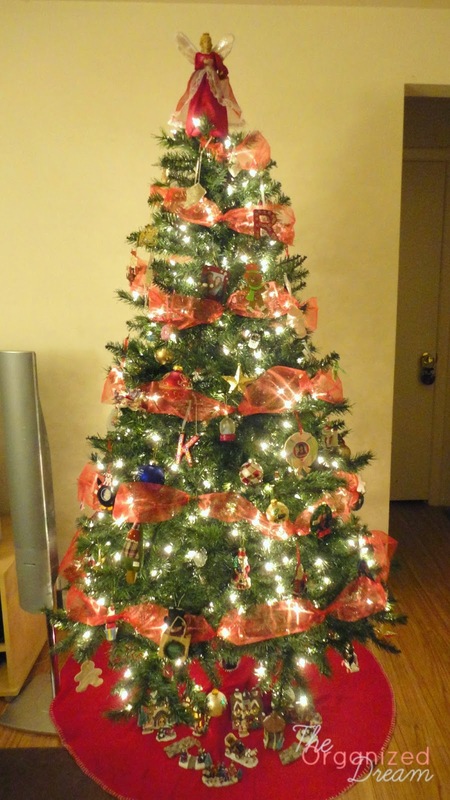 I have been decorating my Christmas tree with ribbon from the beginning. I've always loved how beautiful and chic it looked. 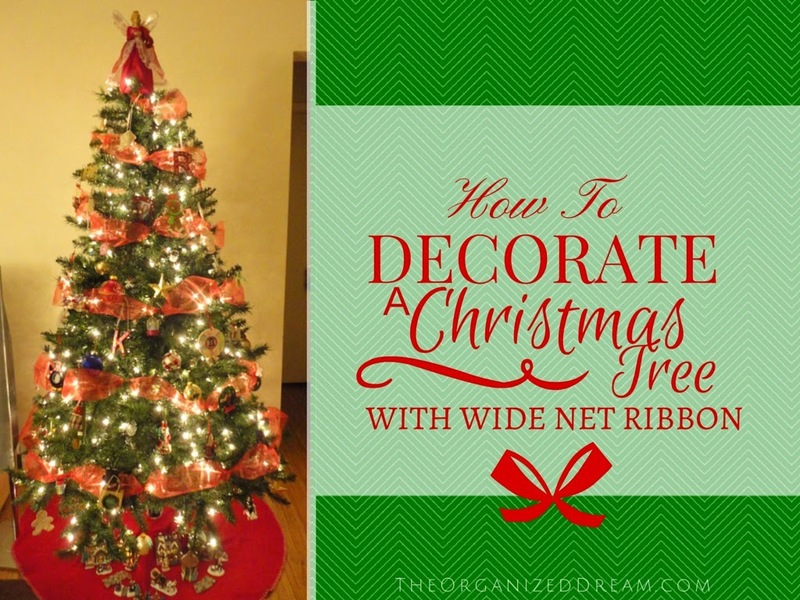 Since I know a lot of you have been dying to put up your Christmas decor, I thought I'd share with you now how I decorate my Christmas tree with wide mesh ribbon. 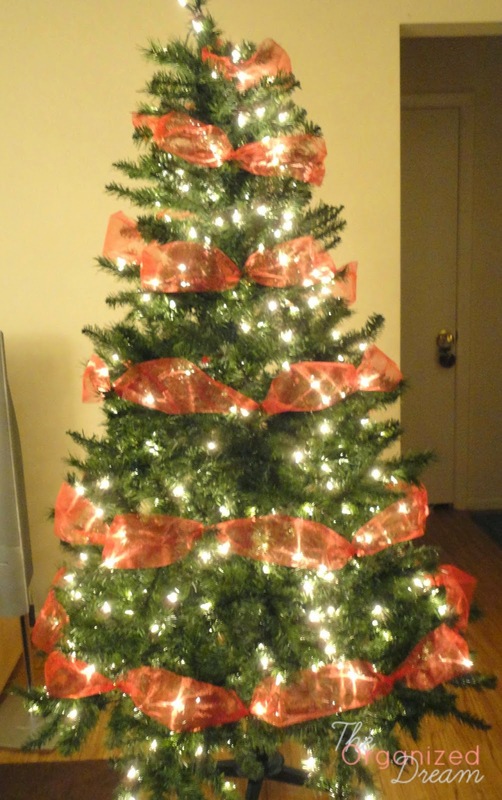 I would always wrap my tree with the ribbon until I was on Pinterest one day and saw completely new ways to put it on. A simpler way I found was to create a "bunting" effect which I'm going to show you. It requires only the simplest of things, but can take a while. For my tree, I purchased 3 spools for $1 each at my local Christmas Tree Shop that roughly had about 10ft. of ribbon on each. This totaled 30 ft. and fit my 6.5 foot tree perfectly. I sewed the ribbon spools together end to end to create one long, continuous length of ribbon. This makes for ultra durability that will last for years. You, of course, could also use a sewing machine. After sewing my ribbon together, I cut the pipe cleaners into pieces; about 2-3 inches long. They don't have to match your ribbon. As you can see, I use red ribbon and gold pipe cleaners. Honestly, from afar, you can't even see the gold. I start at the top and attach the beginning with a pipe cleaner. I spaced out a section of ribbon to make a little "bubble" effect. 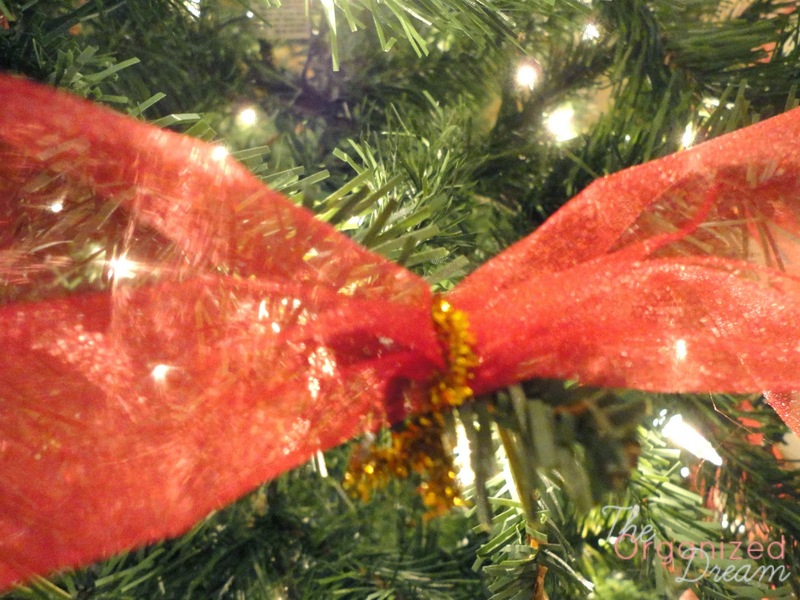 Bunch or pinch the part of the ribbon that you're going to attach with a pipe cleaner to the tree branch and repeat this process until you've come to the bottom of the tree and the end of your ribbon. 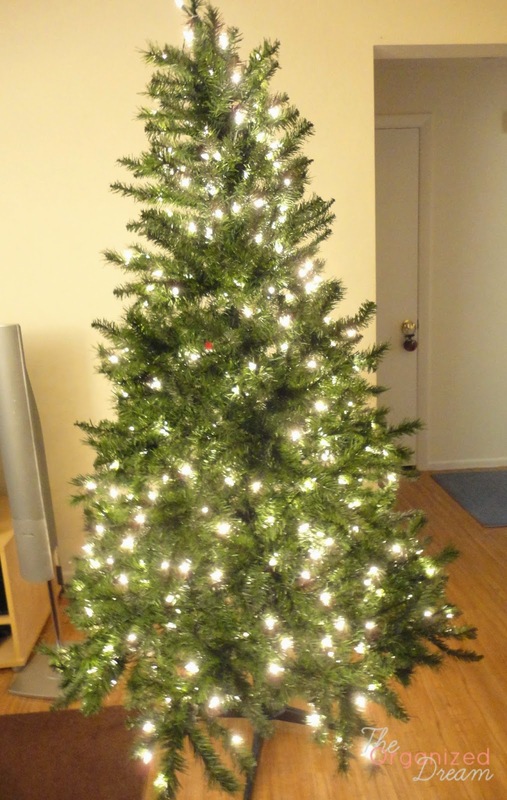 If you prefer to not have the end of the ribbon stop in the front, I suggest spinning the tree so it's in the back. What takes so much time is making sure that each "bubble" is uniform in size and each loop around the tree is equal so you don't have large, bare spaces without ribbon. It normally takes me about an hour to do this, but I'm a little OCD with this type of stuff so it may not take you as long. When you're done, it will look something like this. 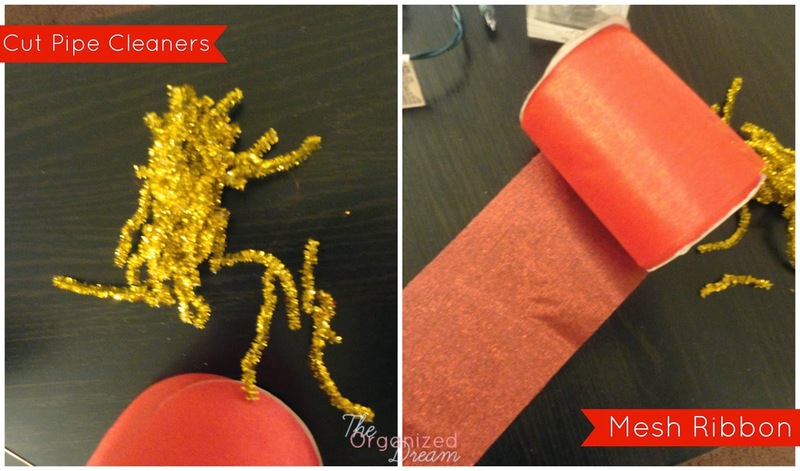 After you've finished the ribbon, the ornaments can go on and then you're done! 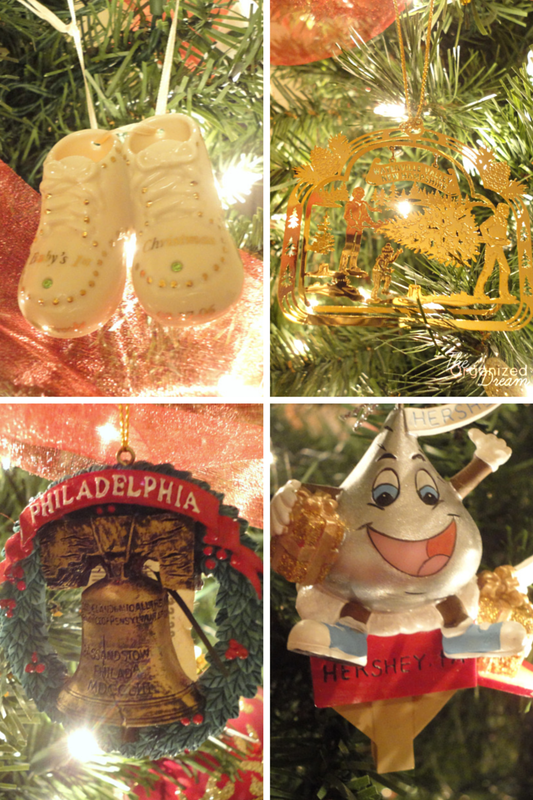 I thought I'd share with you some of my favorite ornaments. I love collecting them over the years so each one has a story to tell. These are my most favorite although there are so many more. Philadelphia wreath and bell. Hershey Kiss from Hershey Park. Candy cane from Santa's Village NH. Dunkin's donut. Cross stitch project from long ago. Wreath from Aruba. 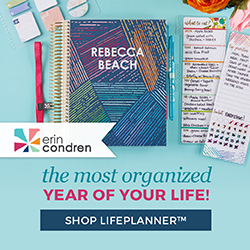 I hope this has inspired you! 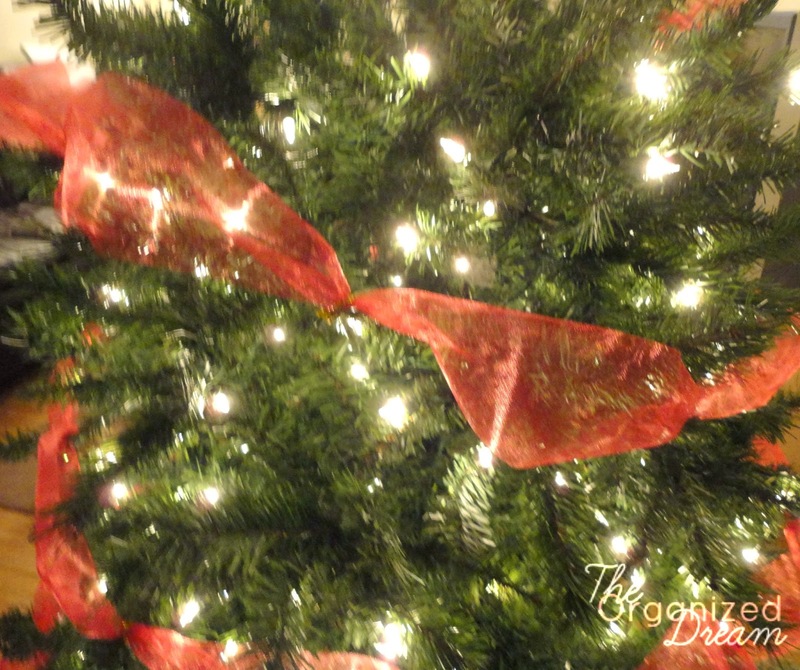 What is your favorite way to decorate your tree? 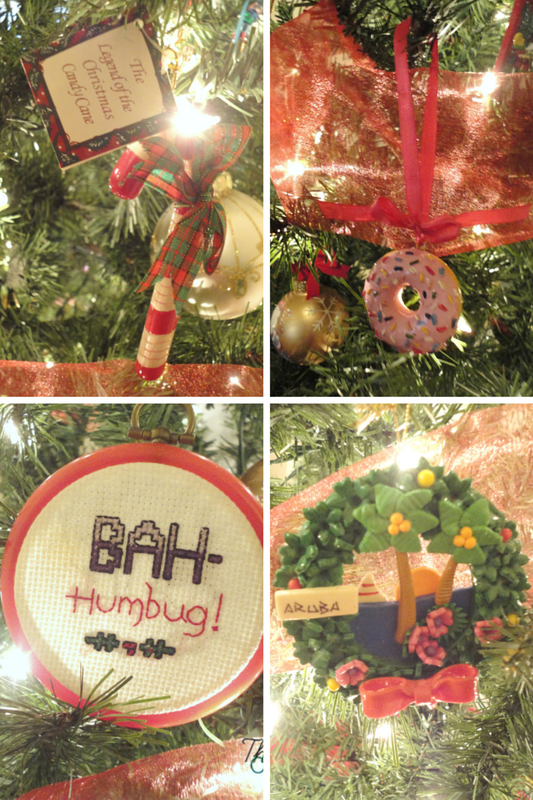 How about your favorite ornaments? Your tree is beautiful - and your tutorial is very helpful! I might go buy some wide mesh ribbon! Glad I found this at Motivational Monday! Pinned. Beautiful tree. I love how the ribbon turned out. 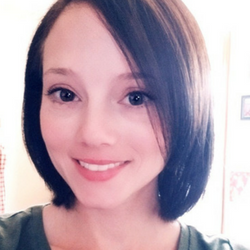 Thank you for the tutorial, and thank you for sharing at Merry Monday! I do mine like this with deco mesh! However it attaches to itself so you can just crunch it together! Beautiful tree! Wow! That's such a lively idea.Have a great week ahead!